This year’s Midwinter Meeting is all about the societal role of libraries. 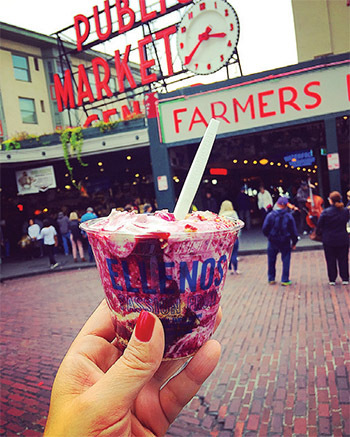 Here’s where to find a bite of Seattle between sessions at ALA Midwinter. 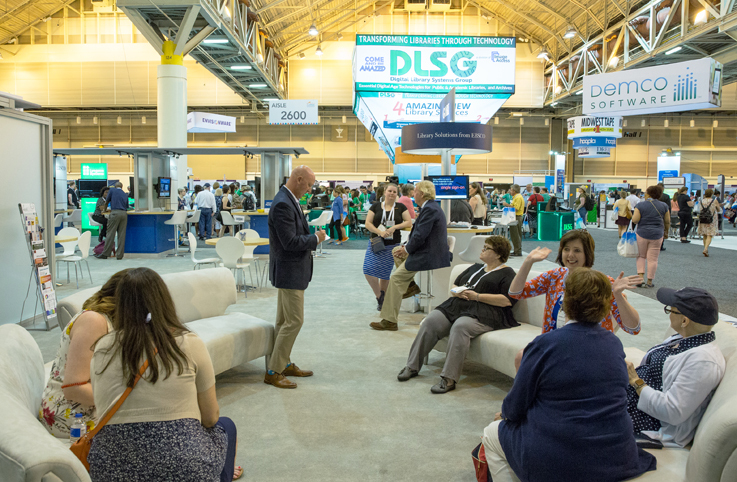 As always, library vendors had a number of announcements to share at the American Library Association’s 2018 annual conference in New Orleans. Here are a few that LJ had an opportunity to learn about in person. 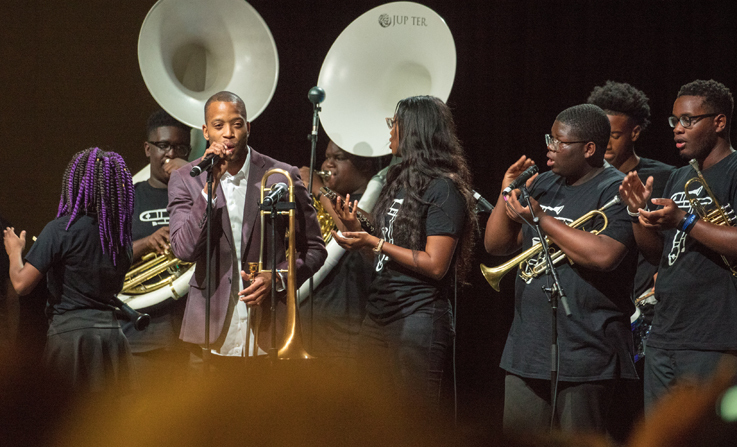 The show floor and featured speakers had everyone jazzed in New Orleans. Historic, distinctive, and notorious, with a rich literary past and a celebratory spirit, New Orleans has a character all its own. Home to pirates and plantation owners, voodoo queens and vampires (or so the legend goes), it’s no wonder this city has inspired writers for centuries. And you’re in luck, because with the city commemorating its tricentennial, there’s never been a better time to visit. After zipping over to the windy city last year, Book Expo returns to New York City’s Jacob K. Javits Convention Center and will run from Wednesday, May 31, through Friday, June 2, with the fourth annual Book Con, a consumer-facing, pop culture–­focused gathering for fans, happening Saturday, June 3, and Sunday, June 4. One of the big changes this year is the branding shift—from BookExpo America (BEA) to the truncated Book Expo—in recognition of the global reach of the show. 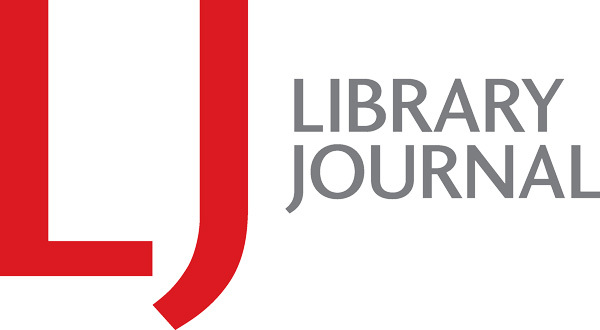 Library Journal’s 2016 Video Reviewer of the Year Douglas Rednour made his first appearance at an American Library Association (ALA) Midwinter Meeting this January. He has reviewed dozens of horror films for us since mid-2015. How scary could this conference have been? On January 22, RUSA's Reading List Council announced the 2017 selections of the annual best-of Reading List, comprised of eight different fiction genres for adult readers. Check out below LJ's full reviews of the winners and look for the complete reviews of the short list titles in BookVerdict. Drawing an exuberant crowd, the panel "Race & Sexuality: A Conversation with Ta-Nehisi Coates, Tee "Vixen" Franklin & Steve Orlando," moderated by comics scholar Jonathan W. Gray featured veteran comics writers and newcomers alike. The discussion at this year’s Library Information Technology Association’s (LITA) Top Technology Trends panel at the American Library Association’s (ALA) annual conference in Orlando, FL spanned topics ranging from online privacy to “superfast application development” on the near horizon. LITA revamped the session format this year to be more interactive: rather than offering individual trend presentations each panelist quickly summarized one trend they’ve been following, and then participated in discussions sparked by questions from moderator Maurice Coleman, technical trainer, Harford County Public Library, MD, and host of the long-running “T is for Training” podcast, with debates emerging on how long libraries should support old devices, and which tech trends may be overhyped within the library field. On Saturday, June 25, at the American Library Association (ALA) Conference in Orlando, the 2016 Andrew Carnegie Medals for Excellence in Fiction and Nonfiction were given to two winners originally announced at the Reference and User Services Association (RUSA) Book & Media Awards Ceremony & Reception at ALA Midwinter. Viet Thanh Nguyen won the fiction medal for his debut novel, The Sympathizer (Grove), a visceral account of a South Vietnamese double agent posted to America after Saigon’s fall, and Sally Mann won the nonfiction medal for her formally ambitious Hold Still: A Memoir with Photographs (Little, Brown). A key point that led off—and was reiterated several times throughout—“Strategies and Partnerships: Tailoring Data Services for Your Institutional Needs,” the ACRL (Association of College and Research Libraries) President’s Program at the recent American Library Association (ALA) Annual Conference in Orlando, FL, was the importance of establishing a common understanding of what exactly “data services” means. The term is a catch-all for a diverse set of activities; using it without defining its scope can become problematic for everyone involved. "How many of you would be prepared to handle an active shooter in your library? How many of you have an active shooter policy?" Few hands were raised when BreAnne Meier from the North Dakota State Library asked these relevant questions at the Active Shooter Policies in Libraries Program at the American Library Association (ALA)'s recent Annual Conference in Orlando, FL. Meier described active shooter situations as ones where someone is actively engaged in killing, has access to a confined area or population, and is sometimes motivated by revenge. As a result, she explained, these situations are unpredictable and can change quickly, often lasting for such a short time as ten to 15 minutes. A number of higher education–focused sessions at the American Library Association (ALA) Annual Conference touched on issues surrounding student retention and completion—and with the costs of tuition, housing, and materials constantly rising, saving students money is a major consideration. When the conversation includes state and community colleges, and a student body that may have less access to financial resources, finding strategies to cut costs becomes more important than ever. Open educational resources (OER)—freely accessible texts and media that faculty can assemble, repurpose, and package under open access agreements for teaching and research—are a rapidly growing option. Update: ALA is planning a planning a memorial gathering at the Annual Conference on Saturday, June 25, 8–8:30 a.m. in the OCCC Auditorium, and a special conference Read Out co-sponsored by GLBTRT and OIF. Details on other support activities during the conference can be found here. In the wake of the shooting in Orlando’s Pulse nightclub on the night of June 12, which killed 49 people and injured 53 others, library administration and staff, organizations and vendors have stepped up with statements of solidarity, offers of help, and opportunities to join forces with the GLBT and Latinx communities—the shooting occurred during Pulse's Latin night—to mourn those killed and wounded. Members of the American Library Association (ALA) RUSA-CODES Reading List Council, which annually presents its picks for the best in genre fiction, are pleased to share their top summer reads. After seven years in New York, BookExpo America (BEA) heads to Chicago’s ­McCormick Place, where it will run from Wednesday though Friday, May 11–13. With a focus on BEA’s new partnership with the American Library Association (ALA), the Library Insights track will feature sessions by Libraries Transform: ALA@BEA, which is sponsored by Libraries Transform, ALA’s national public awareness campaign, and digital provider OverDrive. Also added to the 2016 schedule are tracks on children’s publishing and self-publishing, two of the hottest segments in the industry today. And, of course, there will be plenty of books to pick up and author signings to attend. LJ's reviews of the 2016 selections of the Notable Books List, an annual best-of list comprised of 26 written for adult readers and published in the U.S., including fiction, nonfiction, and poetry. Established in 2012, the Andrew Carnegie Medals for Excellence in Fiction and Nonfiction honor the best fiction and nonfiction books for adult readers published in the United States the previous year. 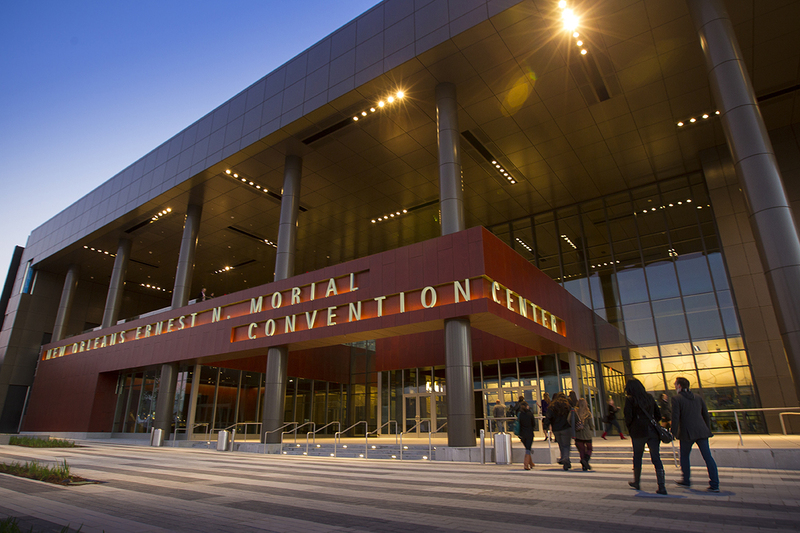 Every American Library Association (ALA) conference produces a bumper crop of news from the companies that serve libraryland, as each tends to time its biggest debuts to the event, and this year was no exception. 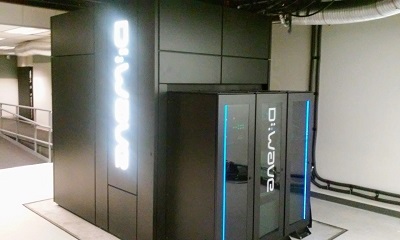 Here’s an assortment of what we learned on the exhibit floor. Did we miss your news? Please add it in the comments! In spite of a record-breaking blizzard that shut down most of Chicago on Sunday, February 1, RUSA’s Book and Media Awards Ceremony went on as scheduled at the Hilton Chicago, where the Reading List Council announced the 2015 selections of the Reading List, an annual best-of list comprised of eight different fiction genres for adult readers. In a move to address the frenzy caused this spring by overlapping consumer and professional publishing conventions, Reed Exhibitions executives have decided to make BookExpo America and BookCon separate, adjoining shows in 2015. Anticipatory and contextual discovery, open hardware, one-click server installs, mobile-first design, institutional digital assets management, and even biohackerspaces were some of the topics discussed this year at the Library and Information Technology Association’s (LITA) Top Tech Trends panel, held June 29 at the American Library Association (ALA) 2014 Annual Conference. Library ebook transactions remain too lengthy and complicated for patrons, especially in comparison with consumer ebook transactions, James English, product manager for the Library Simplified project at the New York Public Library (NYPL) said during his “EPUB: Walled Gardens and the Readium Foundation” presentation at the National Information Standards Organization (NISO) Book Industry Study Group (BISG) Eighth Annual Forum, held June 27 in conjunction with the American Library Association (ALA) 2014 Annual Conference. The group is working to make an open, commercial-grade ereader for libraries that would greatly simplify this process. Whether you’re gearing up for your trip or looking for some airplane reading (or watching) and ARC alternatives, there are far more location-themed titles to choose from than the iconic Leaving Las Vegas or Ocean’s Eleven (either version). Something different is in store for attendees of this year’s American Library Association (ALA) annual conference, to be held June 26–July 1 at Nevada’s Las Vegas Convention Center. For ALA annual and Midwinter Meeting veterans, accustomed to a rotation of familiar venues, Las Vegas offers a new twist. This is only the second ALA get-together held in Las Vegas; the first was in 1973. It remains to be seen whether the famous tourist destination will attract attendees in the numbers that habitually turn out for centrally located Chicago—and whether those who do turn up will forsake the exhibit floor for the town’s famous shows and casinos. You’d better pack your comfy shoes. Not only is New York a walking city, but the programs and exhibits at the Jacob K. Javits Convention Center and elsewhere during BookExpo American (BEA) will keep you busier than a Saturday at the library. Before the show proper begins, LJ and sister publication School Library Journal (SLJ) will each host our annual Day of Dialog (DoD) event at the McGraw-Hill Conference Center. The panels, presentations, and signings at DoD are highlights of our year, and the 2014 lineups are particularly rich. New Adult (NA) fiction is the rage these days in the publishing world, but what is it exactly? Is it an actual genre or just a marketing term? At a lively PLA2014 ConverStation session entitled “New Adult Fiction: What is It, Where is It, and What Should We Do with It,” facilitators Sophie Brookover (LibraryLinkNJ—The Library Cooperative, Piscataway, NJ) and Kelly Jensen (Beloit (WI) Public Library) ) threw out five questions for the audience to discuss at their tables and then share in the main conversation. An ALA program tackled issues of building a responsible film collection that portrays minority communities (native, black, queer, and disabled Americans) in responsible, respectful ways. The 2013 Andrew Carnegie Medals for Excellence in Fiction and Nonfiction winners are announced in Chicago during the American Library Association (ALA) annual conference. The American Library Association has launched a new website, ala.org/liberty, in response to the recent revelations about widespread surveillance by the National Security Agency (NSA). The site offers a toolkit and other resources for libraries to convene forums and moderate community discussions on privacy. Many more resources will be added in the weeks to come, an ALA representative said. Offering commonsensical, yet often overlooked, advice, this session proposed that non-users cannot effectively be reached by focus groups, surveys on the library website, or other such mechanisms that may be useful for capturing the opinions of active library patrons. To reach this other group, libraries must go where they already are: malls, daycare centers, coffee shops, commuter rail stations, houses of worship, farmer's markets, senior programs, etc. Reference and User Services Association (RUSA)-sponsored panel, “Beyond Genre: Exploring the Perception, Uses, and Misuses of Genre by Readers, Writers, and Librarians” attracts a large crowd, eager for discussion. "The mixing of factual and counterfactual is not singular to sci fi and fantasy," Timothy Zahn (“Thrawn Trilogy”) began. Zahn and Brandon Sanderson (“Mistborn”), Cory Doctorow (Homeland), David Brin (“Uplift”), Elizabeth Bear (Shattered Pillars), and John Scalzi (“Old Man’s War”) were charged with talking about the probable and improbable in science fiction (and, to a certain extent, in fantasy too). Organized by the Library and Information Technology Association and with help from Tor, the Saturday, June 28 panel was packed. Jason Griffey, head of library IT for the University of Tennessee at Chattanooga, has launched a Kickstarter campaign to help fund expansions and upgrades for his open-source LibraryBox project. LibraryBoxen are self-contained, battery-powered, pocket-sized routers that enable wireless distribution of ebooks, images, and other digital content without an Internet connection. This fall a new national “library staff picks list” will debut under the name LibraryReads. All public library staff will be welcome to nominate new adult titles that they have read, loved, and are eager to share with patrons via the website libraryreads.org, which will go live today at noon. The ten most frequently recommended titles will be calculated monthly, and beginning this autumn, the resulting list will be publicized and promoted by librarians in branches as well as in patron newsletters, websites, etc. What makes library Tumblrs different from your run-of-the-mill library blogs is that they can take advantage of a built-in community with built-in readers. If a Wordpress or Blogspot blog is an island, Tumblr blogs are a city. Many librarians were initially attracted to Tumblr for the same reasons nonlibrarians were—ease of use, social features, the cool factor. But, once they arrived, they began to run into each other, then to talk to with one another, and finally to understand themselves as a community. The portmanteau Tumblarians—meaning "Tumblr librarians"—was coined and a subculture born. Library Journal's 2013 Day of Dialog ended with a table lined with familiar faces: Amy Tan, with her first novel for adults since 2005′s Saving Fish from Drowning; Richard North Patterson, with a work narrated by a 22-year-old woman; Allan Gurganus, with his first book in 16 years; prolific critic Caleb Crain, with his first ever novel (though second book); Al Lamanda, with Sunrise (Gale Cengage, Aug.), the follow up to his Edgar-nominated Sunset; and of course Library Journal‘s own Barbara Hoffert as moderator. “When is a Sale Not a Sale? Selling vs. Licensing Digital Content” the International Digital Publishing Forum's Digital Book 2013 conference asked. The panel, which took place on May 30 during the co-located BookExpo America last week in New York, featured Bill Rosenblatt, founder of GiantSteps Media Technology Strategies, who gave a point-by-point overview of the current state of digital copyright law. Ebooks. Self publishing. Platforms, platforms, platforms. It's hard enough to keep up now; what will collection development librarians' jobs look like in 2020? At LJ's Day of Dialog, held May 29 at the McGraw-Hill auditorium in New York City, Christopher Platt, Director, Collections and Circulation Operations, New York Public Library, put that question to a panel of librarians and a publisher. 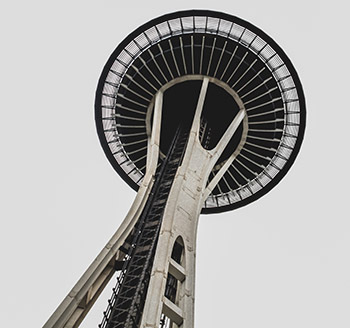 To aid in your use of the handy ALA Scheduler this year LJ ’s editors have selected a few of their favorite ALA program sessions from the sprawling array of options on offer. We hope these selections will give you the best shot at the newest and best ideas and innovations, the most useful information and best practices, and, of course, the most entertainment for the time and money you have invested. If all else fails there is always “that toddlin’ town” outside. To make the most of BEA, here are the offerings that are best for librarians—not all of them are particularly aimed at our profession, but eavesdropping on “the other side” can be illuminating. Though ebook questions feature heavily, we’re moving on from library availability concerns to debates surrounding secondhand ebooks, the effects on authors, and e-publishing of out-of-print titles. Budgets be damned. the number of librarians at BookExpo America (some even paid their own way) attests to the insatiable demand for books in any format and the deep impact librarians, both as library book buyers and recommenders of titles for their patrons, have on the book world. As many panelists at BEA noted, referring to LJ’s Patron Profiles, their influence goes further, since library users, particularly Power Patrons and Power ePatrons, are also avid book buyers in all formats, contrary to what some publishers presume. Web developers should prioritize mobile websites over desktop websites, librarians need to design more relevant instructional materials for their users, and the field of experience-based transformational development could have a major impact on the future of educational tools. These were just a few of the topics discussed during the “Top Technology Trends and LITA Awards Presentation,” session last Sunday during the ALA Annual Conference in Anaheim. The Internet Archive’s Peter Brantley made a cogent and precise presentation at the American Library Association conference this week that urged the librarian community to do a better job at directing the multitude of conversations that ultimately affect how and what libraries can do with digital content. For ebooks, “true collection development is going to have to wait...until we have more access, if not all access to everything that's being published,” Anne Silvers Lee, chief of the materials management division of the Free Library of Philadelphia, said during a Saturday panel discussion at the American Library Association's annual conference in Anaheim this weekend.